ITEQ Industries is a supplier in the metal sector. We supply sheet metal mono-parts, can perform laser cutting and (sub)assembly. Through co-engineering and the use of extensive automation we supply you with industrial sheet metal products and housing. In steel, stainless steel, aluminium and other non-ferrous materials. Using innovative solutions our production is fully automatic 24/7, also on a regular basis and in (small) repetitive series. Our customers are involved in machine and equipment building, electric transport, alternative energy, rail, the food industry, electronics and the semiconductor industry, and the medical sector. We strive for a long-term business relationship with our customers. This is called contract manufacturing. It means we enter into long-term commitments, orders or framework agreements with our customers and deliver the products in parts. You receive regular deliveries of (small) series with a high degree of repetition. We use the most innovative production technology. This ultimately ensures you benefit from an optimal service with just-in-time deliveries. In other words, customisation. 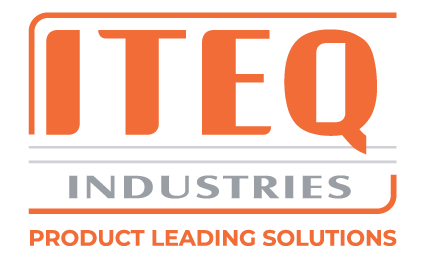 ITEQ Industries was founded in 1989. With our dedication and creativity we strive to be a flexible and reliable partner for customers in the Netherlands and Germany. We translate your demand into innovatively designed sheet metal mono-parts, welded compositions and (sub-)assemblies. We guide you from from idea to ‘plug and play’ products. In this concept customisation, thinking in processes and solutions, equality in the relationship and the result, are key. We are thrilled when our high quality and unique solutions surprise you! Corporate social responsibility is self-evident to us. In all areas of the company.